The house is beginning to take shape. However the weather has made the progress of the house — and therefore the garden — much slower than I had hoped. Originally my plan (more of a hope actually) was to begin putting in some of the more distant trees and shrubs by now. But we still don’t have water on the site – well, except for the excessive amounts of rain — so we can’t really sensibly plant anything that I want to live. 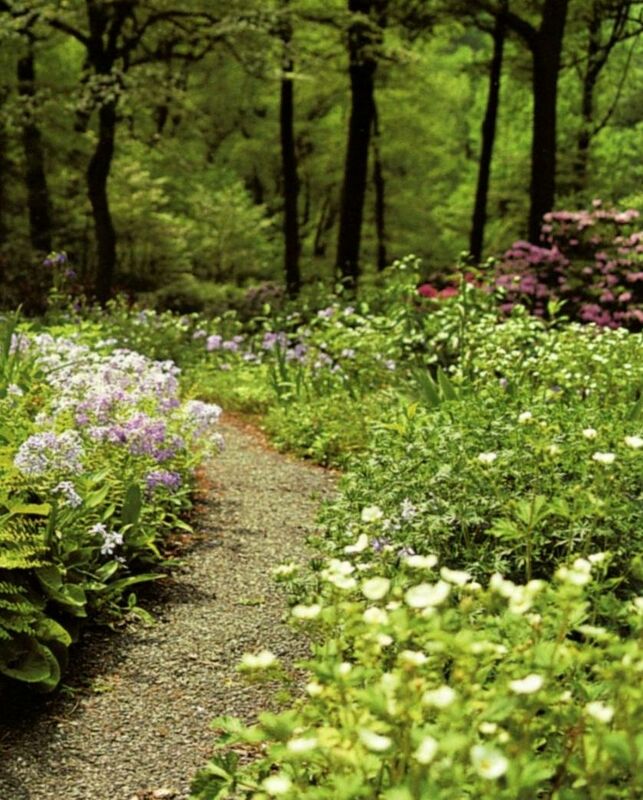 What we can do is start to lay out the paths – the strolling paths for a stroll garden. Most of the paths are going to be Decomposed Granite, an inexpensive and rather informal surface, just right for walking along in a country garden. It really is crushed stone, sort of sandy or gravelly; and depending on the color you choose it looks like a mixture of sand and soil and feels comfortable and natural, yet is not muddy. I plan to make the edges disappear by covering them with overflowing groundcovers, perennials and shrubs so it should be hard to tell where the path ends and the plantings begin. 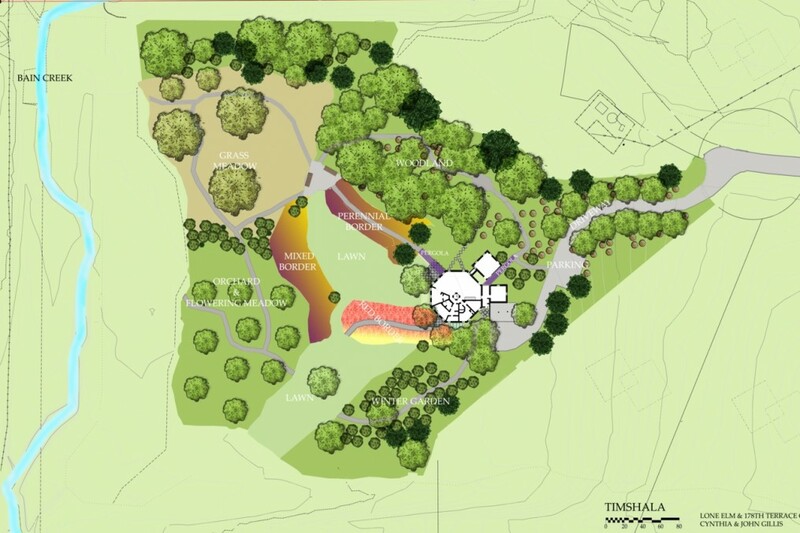 Someday it will look like this – a natural walkway curving through the Woodland and the Perennial Border. This entry was tagged Decomposed Granite, Garden Paths, Paths, Walkways, Woodland walk. Bookmark the permalink.